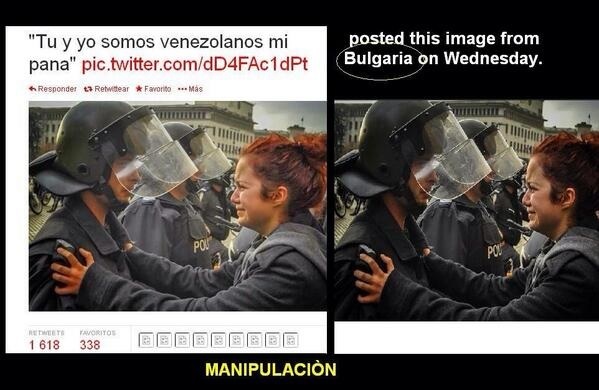 There is no flabby pretense of “objectivity” on the part of the international media when it comes to Venezuela. That country poses a stark threat to the hegemonic order, characterized these days by tame Latin American states, emerging from US-backed military dictatorships, now gamely accepting neoliberal economic policies like good little boys and girls. 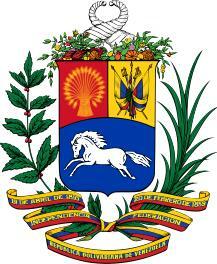 Having enough oil wealth to say No to all that, Venezuela created its own counter-hegemonic partnership, ALBA-TCP. And domestically, while all we hear about is toilet-paper shortages and inflation, there has been substantial progress on a number of fronts for years now—a sharp reduction of dire poverty, major advances in education, reduced child mortality, and rapid steps taken towards gender equality, maternal health, and environmental protection. You won’t read much about that in the mainstream foreign media. Instead, we’ll hear about opposition grievances of all kinds, and we’ll get photographs, too, circulated on Twitter and sometimes picked up by big news outlets like CNN. Here are some brutal cops, with nice woolly caps and fur collars to guard against the 24°C Caracas weather, I assume. 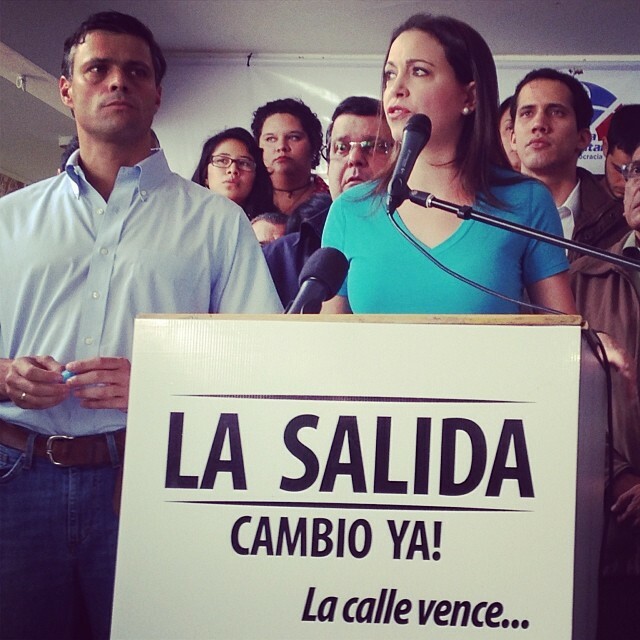 The history of Leopoldo Lopez, his ally Maria Corina Machado and their connection to US intervention in Venezuela must be documented. 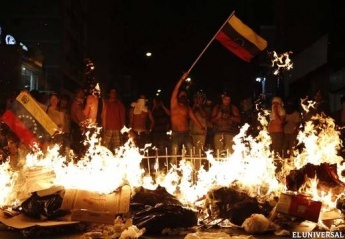 Since the opposition's electoral defeat in the 8 December municipal elections, 'Champions of democracy' Leopoldo Lopez and Maria Corina Machado have repeatedly called protests on the streets of Venezuela, supporting violent tactics in order to force 'an exit' of Maduro's elected Chavista government. Leopoldo Lopez is current head of opposition party Voluntad Popular, and is charged with corruption for receiving an illegal donation more than $160,000 from the state oil company PDVSA in 1998 when his mother was head of public relations in the company. 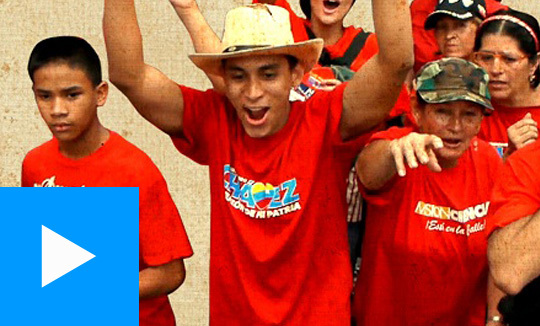 Lopez was Mayor of Chacao during the April 2002 coup d’etat against Hugo Chavez and instigated opposition demonstrators to march on Miraflores Presidential Palace. In the short 48 hours of the failed coup, Lopez was one of the signatories of the 'Carmona Decree' dissolving the country’s democratic institutions including its National Assembly, Supreme Court, Attorney General, and Public Defender. Anyone confused about who is perpetrating violence currently in Venezuela should watch the freely available video 'April:Between Peace and Rage.' 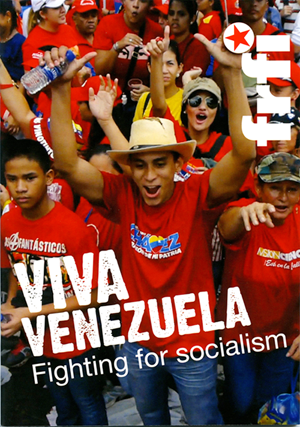 In April 2013 Venezuela's opposition narrowly lost the Presidential elections which democratically elected currently President Nicolas Maduro. 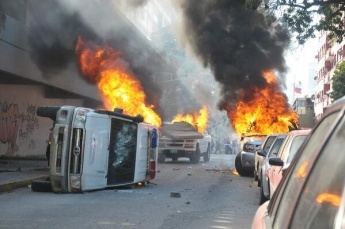 They subsequently cried fraud and took to the streets for two days of violence which left 13 dead. In a vicious attack on democratic freedom, snarling mobs surrounded buildings of the National Electoral Council (CNE), whose president, Tibisay Lucena, had her house attacked whilst Eva Golinger, editor of the chavista Correo del Orinoco newspaper, was assaulted while out with her year-old baby. 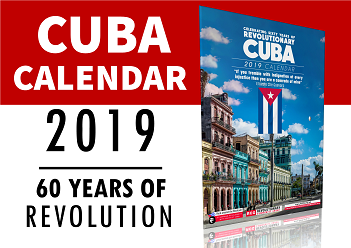 Opposition supporters armed with pistols and smoke bombs burned down PSUV buildings, trashed subsidised food stores and public schools, smashed up no fewer than 20 Cuban-run free health clinics and attacked housing projects and the public transport system. The opposition’s accusations of electoral fraud were exposed as empty posturing when the results of a two-month audit of 100% of the votes found a 99.98% correspondence between paper and electronic votes. What we are seeing now in Venezuela is a repeat of the same tactics, with violent masked groups claiming to be students, barricading streets, setting fire to rubbish and cars, pelting civilians with rocks and molotov cocktails and then crying innocence when the Bolivarian National Guard confront them. On 12 February, fascists attacked the presidential Miraflores Palace in Caracas and the Attorney General's office. Exploiting the 12 February Day of Youth celebrations, when annual processions commemorate the role of youth in the independence battle in La Victoria in 1814, violent groups of masked thugs took to the streets in several cities across Venezuela. 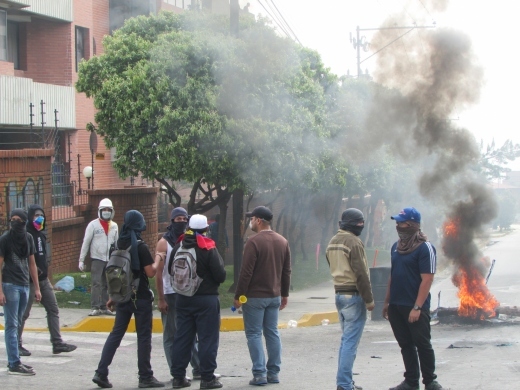 During clashes with revolutionary forces in Caracas and Merida, student Basil de Costa and community activist Juan Montoya were killed, and 23 were injured. The violence came two days after the implementation of the ‘Law for the Control of Fair Costs, Prices and Profits’ which is designed toprevent the price speculation and product hoarding which has rocked the economy in recent months. The law establishes a maximum profit margin of 30% and has been established across the economy to prevent companies from over-charging. 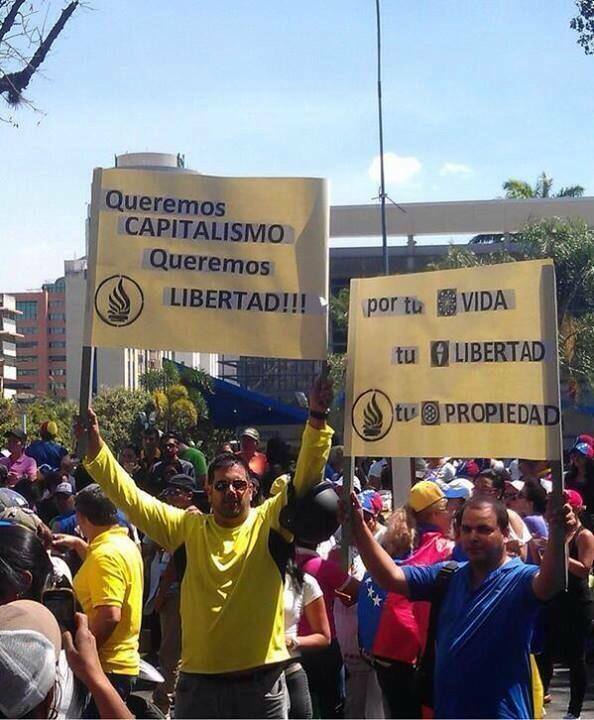 Fedecamaras, the Venezuelan chamber of commerce, has pledged to take action against the law. 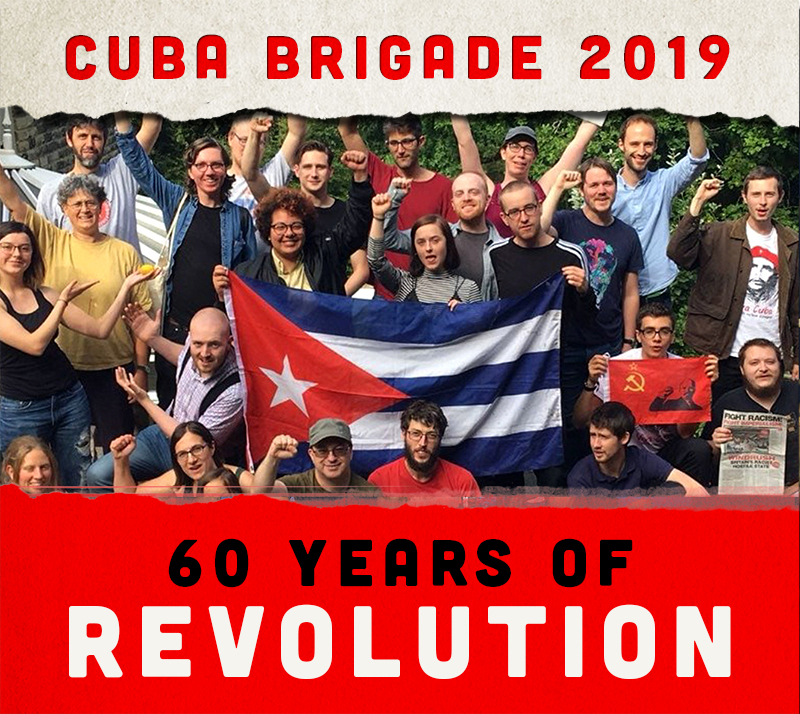 With more protests planned over coming days, it is urgent that we support the socialist movement in Venezuela as it fights any renewed coup d'etat attempts. 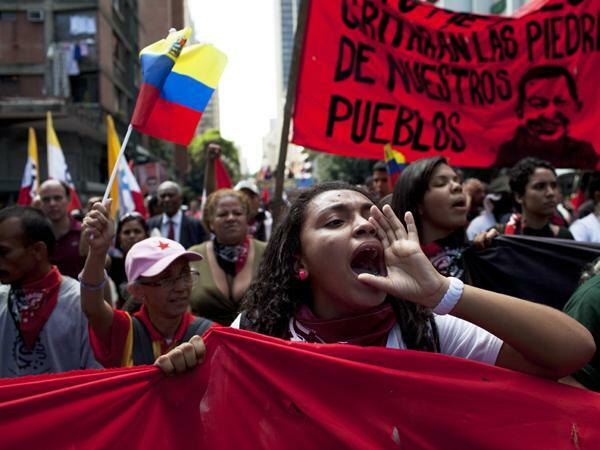 Violent opposition groups attacked government buildings and civilians, and clashed with police and government supporters following peaceful marches commemorating the Day of Youth.